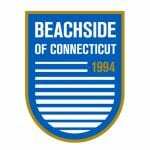 Beachside of Connecticut Soccer Club, a domestic non-stock corporation is governed by an independent Board of Directors, who oversee all aspects of the club, which is a nonprofit (IRS 501c3) organization. The current Board was formed in 2014. All its members are volunteers, alumni, parents, or parents of alumni. Carl is a retired Sales and Marketing Executive with experience in Publishing, Direct Marketing and Commercial Printing. 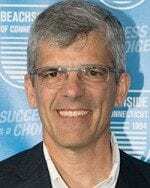 He has held positions for Harper & Row Publishers, Xerox Corporation and LP Thebault. He and his wife Marjorie have lived in Westport, CT for 18 years where they have raised 4 sons. Sanders and Andrew are graduates of Wake Forest and Trinity College respectively and both work in NYC. Taylor attends Emory University and will graduate from the Goizueta Business School in 2016 and Jordan is a Freshman at Dartmouth College. 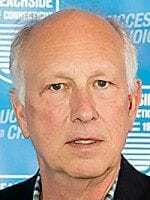 In addition to serving as President of Beachside Soccer Club, Carl held several positions with Westport Little League and was President during their successful run to the National Finals in Williamsport in 2012. Additionally he has served on the Boards of the Westport Weston Family Y and Staples Tuition Grants. Oliver founded the Beachside program with Mickey Kydes in 1994 when they were both working at Greens Farms Academy in Westport. He is currently an independent consultant focusing on technology issues for small-medium sized businesses. Oliver holds an MA degree in Mathematics and Philosophy from Cambridge University, an MBA from the University of Chicago and a diploma in Teaching from Yale University. In his career he has served as a lending officer at Citibank, as a consultant with McKinsey and Co., as a VP in various planning and technology roles at American Express and as mathematics teacher at Greens Farms Academy in Westport and at the Park School in Baltimore. He received a “Distinguished Educator” award from the US Department of Education in 2004. In recognition of his history of volunteer work for the program, Oliver was elected to the Club’s Hall of fame in 2011. Philip Gavey has been with GE Capital for eighteen years in various mergers & acquisitions, finance and risk roles. He is currently leading the separation activities for properties & vendors as GE Capital reduces its financing activities. Philip started his career at Arthur Andersen in the Audit & Tax group focused on clients in the financial services industry. Since then he has held finance positions at William M Mercer and CFO of an Internet start-up. 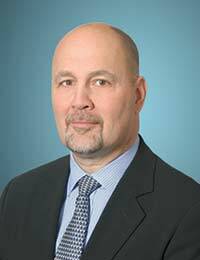 Michael is a partner at Day Pitney LLP, a northeast regional law firm with approximately 300 lawyers. He chairs the firm’s Real Estate, Environmental and Land Use practice. Mike’s practice includes the areas of commercial real estate finance, acquisition, leasing, and development. He regularly represents institutional investors such as insurance companies, banks, pension funds, investment banks, commercial lenders, and corporations. Mike has extensive experience in financing hotels, office buildings, mixed use centers, retail centers and golf courses, as well as the acquisition and sale of real property, commercial leasing, and the acquisition, sale, and financing of portfolios of performing and nonperforming real estate assets. 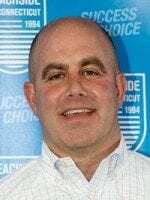 In addition to his service on the Beachside Soccer Club board, Mike has served on the board of the Westport Soccer Association for well over a decade. Mike and his wife Elena have lived in Westport for 23 years. Both of their daughters are recent graduates of Connecticut College. 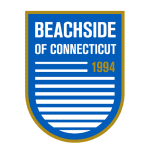 His younger daughter, Julia, captained the Connecticut College Women’s Soccer Team in her senior year and was recently the first female player inducted in the Beachside Soccer Hall of Fame. 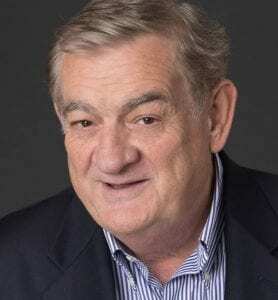 Gerry is an attorney at law and a Member of the law firm of Ferguson Cohen LLP, with offices in Greenwich Connecticut and White Plains, New York. He is admitted to practice law in the States of Connecticut and New York. He is a graduate of St. John’s University College of Business Administration and St. John’s School of Law. Gerry has focused his law practice primarily in the area of Wills, Trusts and Estates since 1988. He has experience in all aspects of estate planning, trust and estates administration and Surrogate’s Court and Probate Court Practice, from the simple to the complex. Gerry is the former Director of Coaching for the Northwest District of the Connecticut Junior Soccer Association; the former President of the New Fairfield Soccer Club and the former United States Soccer Development Academy Representative to the Board of South Central Premier, where he was the coordinator of the U.S. Soccer Development Academy program. Kristin M. Miller is the President of Richman Group Development Corporation, an affiliate of the Richman Group of Companies, the seventh largest apartment owner in the US. Ms. Miller has been responsible for the new construction or rehabilitation of nearly 15,000 units valued at over $2.5 billion throughout the US with offices in West Palm Beach, Fl, San Diego, CA, Dallas, TX, Greenwich, CT, Tinton Falls, NJ and New York City. In addition to running the development company, Ms. Miller serves as the President of the property management affiliate – Richman Property Services with a staff of over 500 located in nine states with its headquarters in Tampa, Fl. Ms. Miller has served in various volunteer capacities for Beachside and other organizations and most recently as a board member of the Greenwich Alliance for Education. She lives in Old Greenwich with her two children and her son has been a player at Beachside for four years. 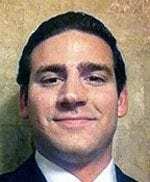 Josh Samuelson is a co-founder and President of PointState Capital. At PointState, Josh is responsible for managing a portfolio in which he invests globally in a variety of sectors and asset classes. Prior to founding Pointstate, he was a Managing Director at Duquesne Capital and Soros Fund Management. He is a graduate of Georgetown University with a B.S.B.A. in Finance and International Business. In addition to serving on the Beachside Soccer Club board, Josh currently sits on the NYU Perlmutter Cancer Center board of Advisors and served on the Greens Farms Academy Board. He lives with his wife Lollo and their two children in Fairfield, CT. His son currently plays for Beachside. other polymer products, and Southwest Royalties, Inc., a Permian Basin oil and gas exploration and production company. 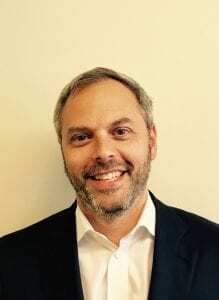 In addition to Beachside SC, Jay also currently serves on a number of non-profit boards and affiliated committees including at Elon University and St. Matthew’s Episcopal Church in Wilton CT and previously served on the boards of New Canaan Baseball/Softball and the New Canaan Soccer Association. Dean joined Beachside SC in 2002 and captained one of the most successful teams in club history to four Connecticut Open Cup Championships – 2002-2005 – and two Regional Semifinals – Spring 2004 and 2005. He won two Ivy League Championships while playing for Brown University, Class of 2009. Dean received his J D. degree from Hofstra University in 2013, and is an associate with Reed Smith, LLP in New York City, specializing in M&A and venture capital transactions.